The long bus trip was over, we finally reached our destination for the day. 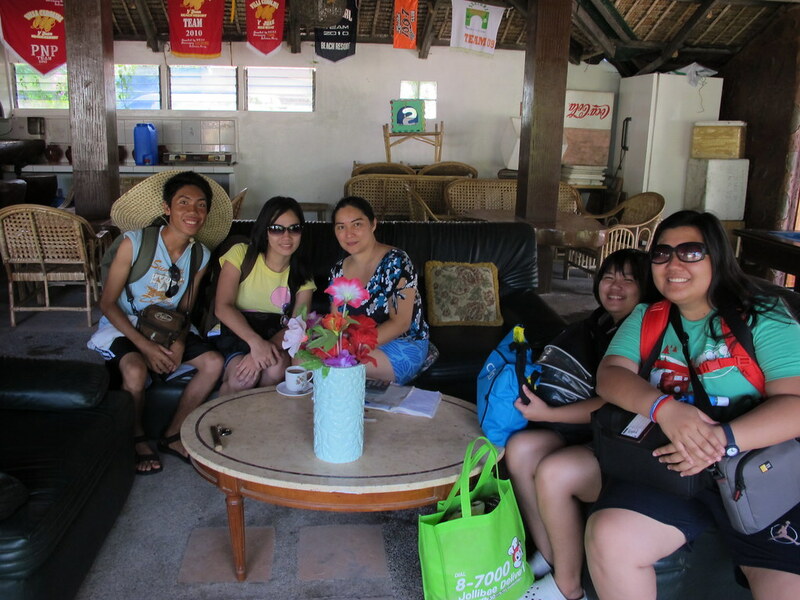 We were very excited to start our day trip in Bolinao, though no one from our group knows this town, all were first timers. I only based our directions from the blogs I read from the previous days of preparation (I am the "punong abala" for this trip - meaning, it was I who made the IT's and the reservations). 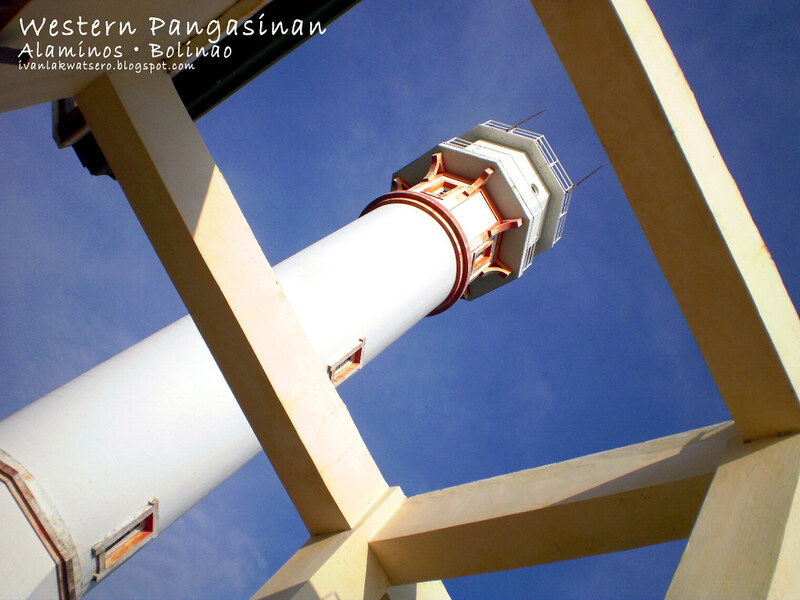 | Bolinao Town is a 3rd class municipality found in the western most tip of the Luzon Islands. 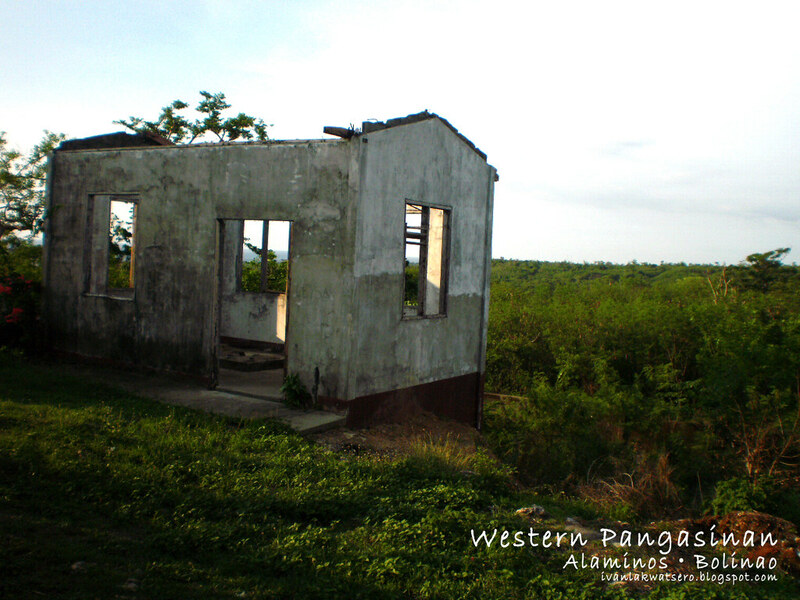 Part of the province of Pangasinan in Region I - Ilocos Region. 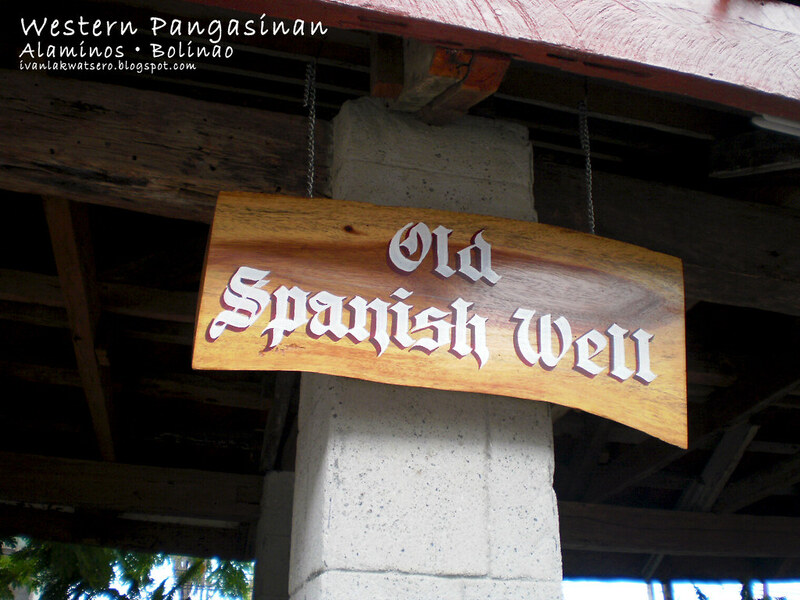 People speak Ilocano, Pangasinense and Bolinao. From the bus terminal, I lead the several meters walk (I was not really sure where we're going that time). 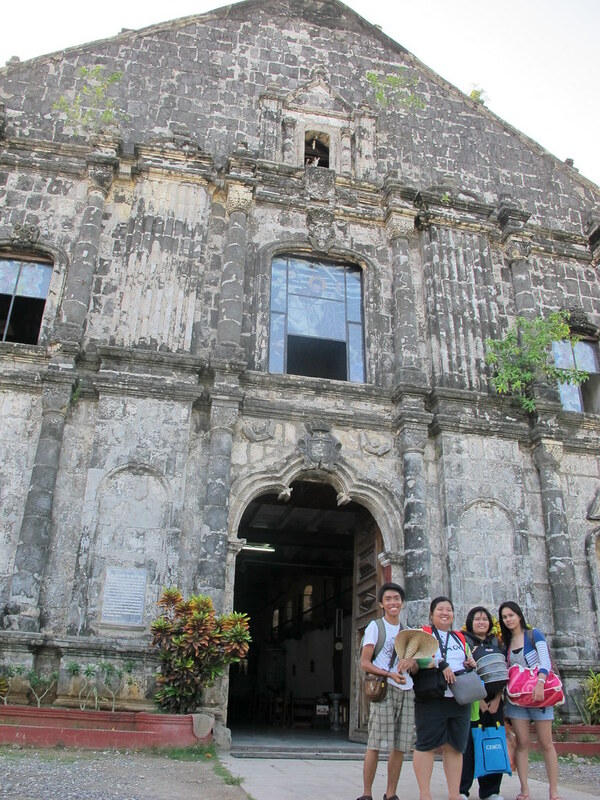 Then hurray, we found the Bolinao Church aka St. James the Great Parish. | St James the Great Parish, built in 1609 by Augustinian Friars. 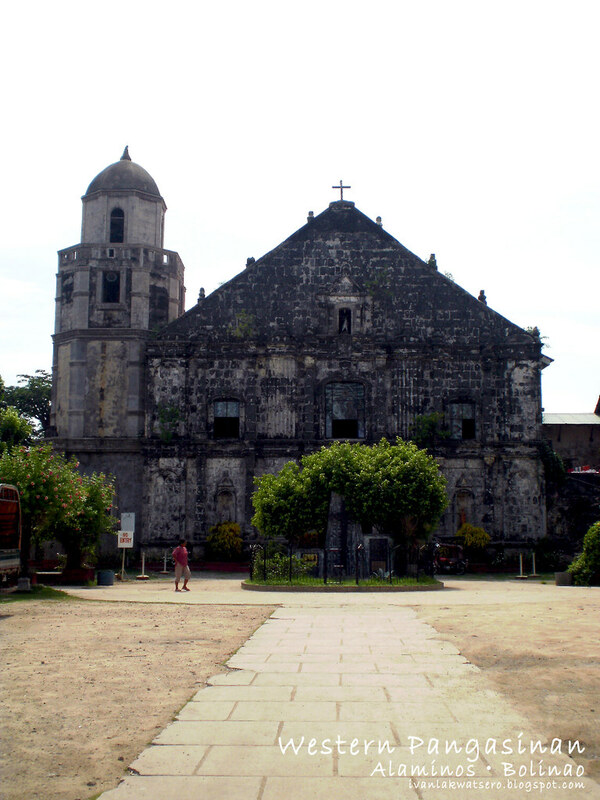 One of the oldest in the country, its belltower was once the tallest in northern Luzon. 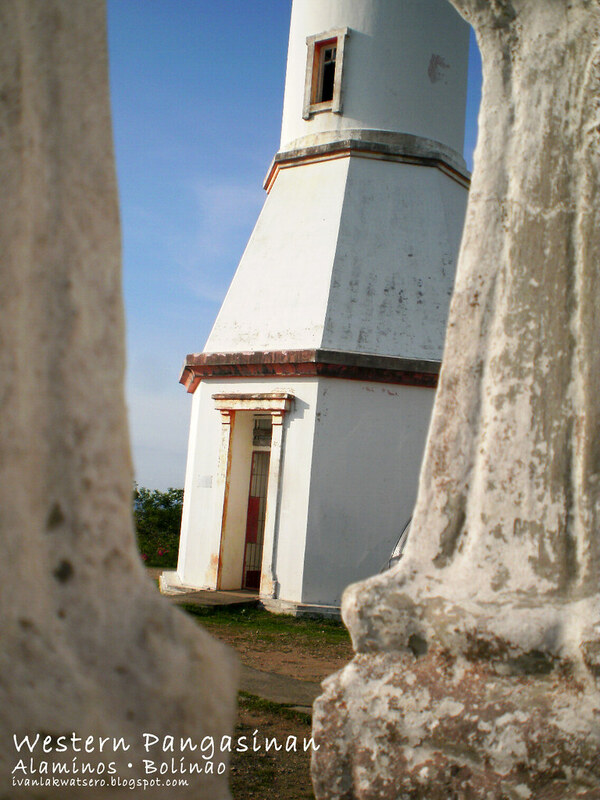 Half of it was toppled by an earthquake in 1788 and its convent got burned in 1819. 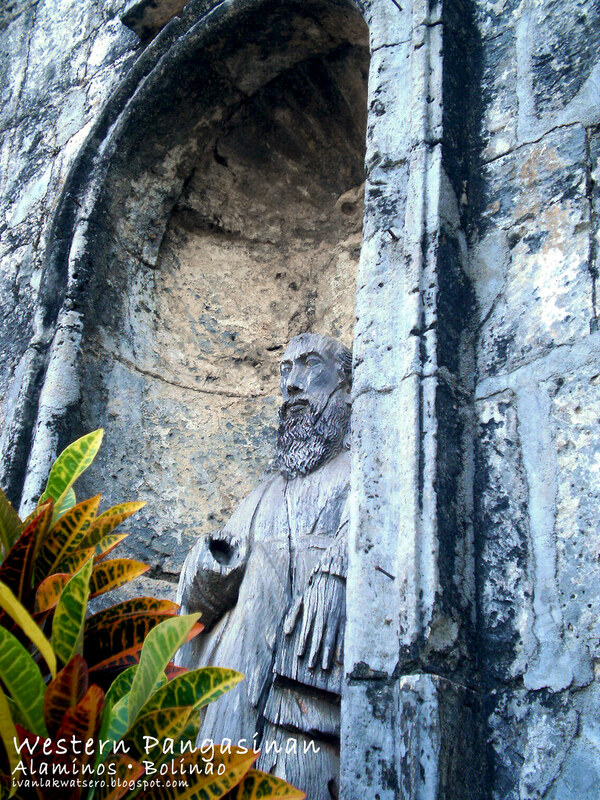 The church's facade was awesome, the details and sculptures were great, even the growing plants adds beauty to the old structure. There's nothing much to see inside though, the ceiling was under renovation and the walls are under a repainting job. 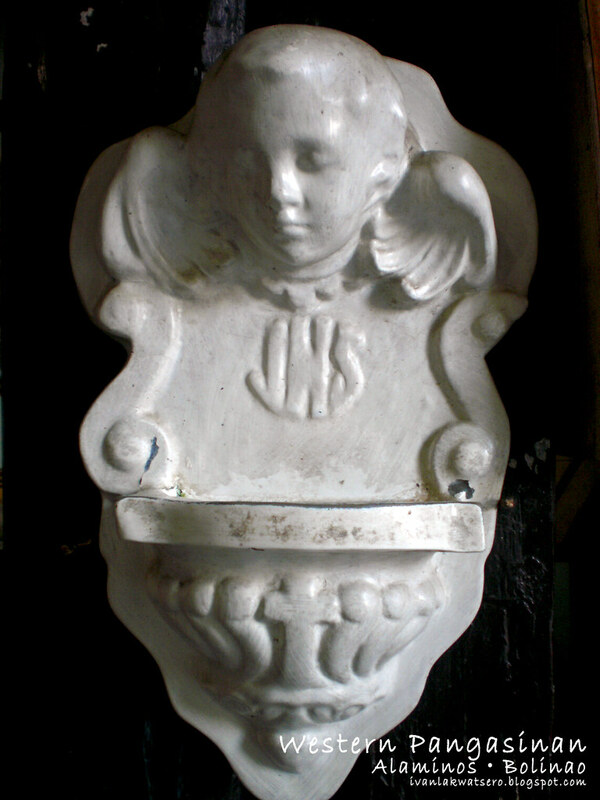 There was a Binungey store in front of the church's gate, each sells at P20.00. Since I was a bit hungry already, I didn't hesitate to give it a try. Taste is similar to biko. 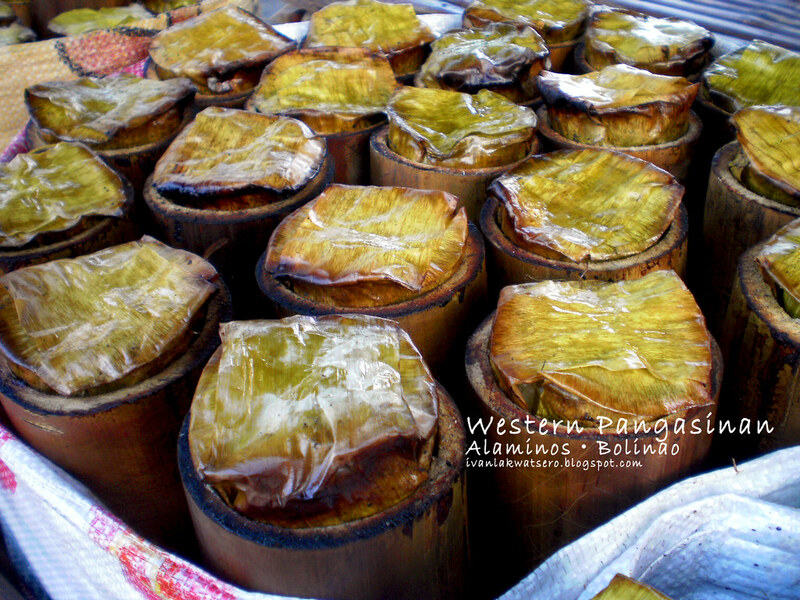 | Binungey is a sweet sticky rice placed in a bamboo, found only in Bolinao. Exploring the town with heavy baggage is a bad idea, especially if you're with girls who are not used to backpacking trips. 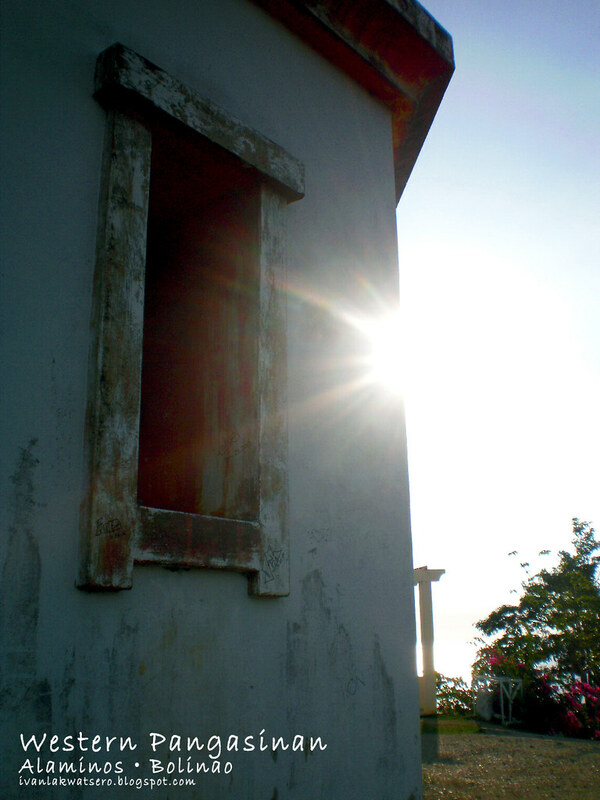 After our unsuccessful search for early morning carinderia, we just decided to head to Villa Carolina. I already made a reservation, so I believe they're expecting us already. 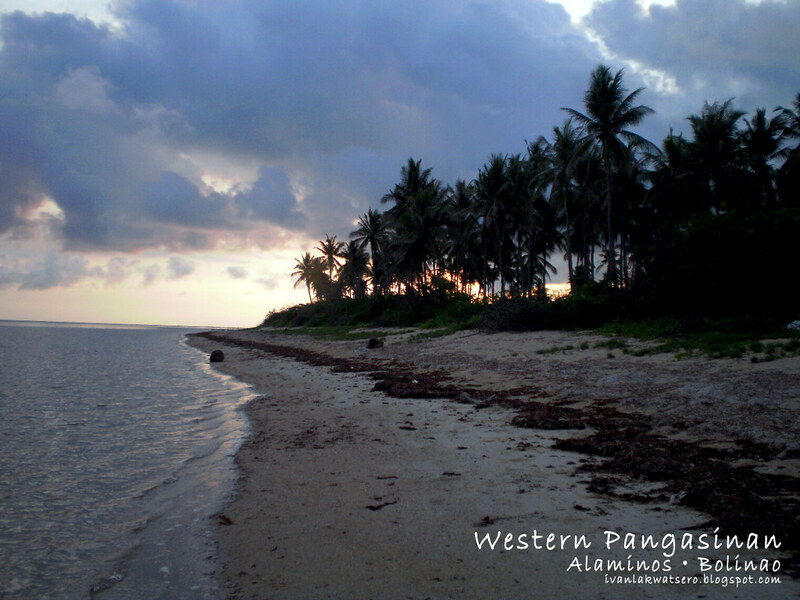 | Villa Carolina is a beach resort located at Brgy. 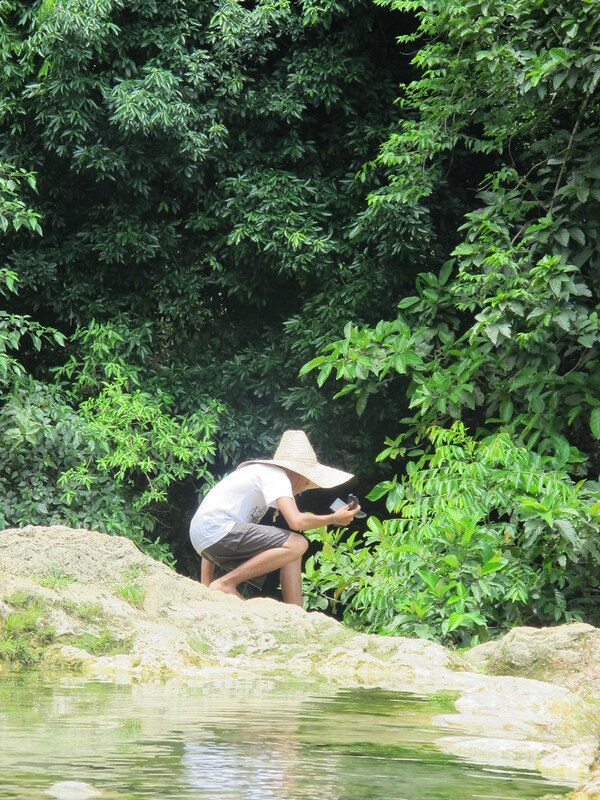 Ilog Malino. 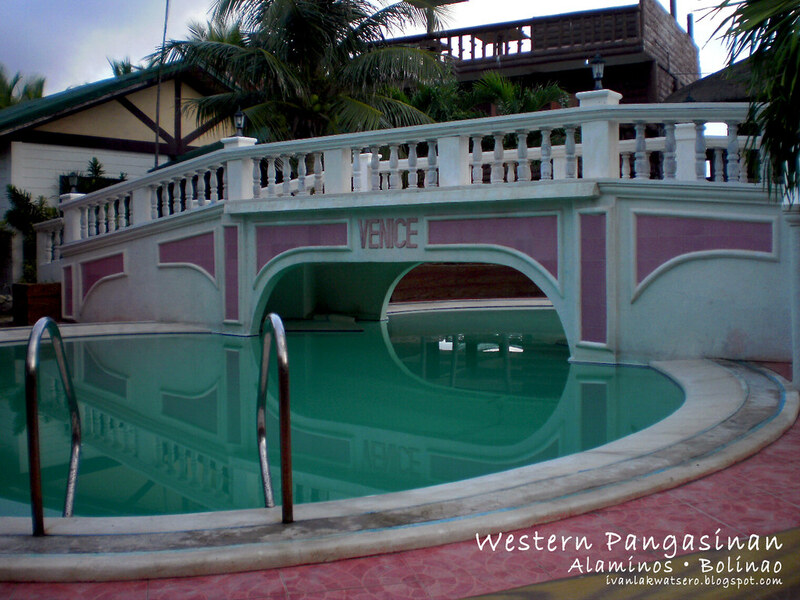 They're complete with amenities like swimming pool, spa, jacuzzi, pool table and videoke. They also have car and tricycle rentals in case their guests don't have any transport. Rooms range from affordable to quite expensive. 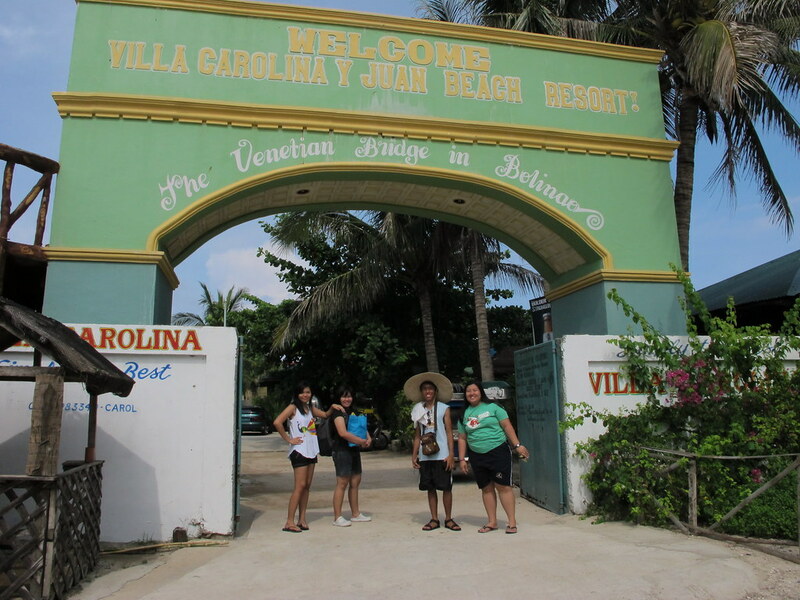 From the bayan of Bolinao, we rode a trike to Villa Carolina (P150.00). While on the road, I tried to make a deal with the manong tricycle driver, asked him how much would it cost if we'll hire his trike for a whole day trip around Bolinao, he offered a van instead for P1,500.00. We reached Villa Carolina and we're still not done with the negotiations, Ms. Carol who was already waiting for us overheard our deal with the manong driver. We agreed at P1,500.00 for a whole day trip, got his contact number before he leaves. When the tricycle driver left, Ms Carol told us that they also have an SUV for rent, at first she offered it at P2,500.00, pero dahil I used my "paawa" charm we got it at extremely lower price. We quickly cancelled our first deal with manong tricycle driver. yey. | Mr. and Mrs. Ore (John and Carol), owners of the the resort, are very friendly. The safety of their guests are their priority. Their service are the best. I highly recommend their place. 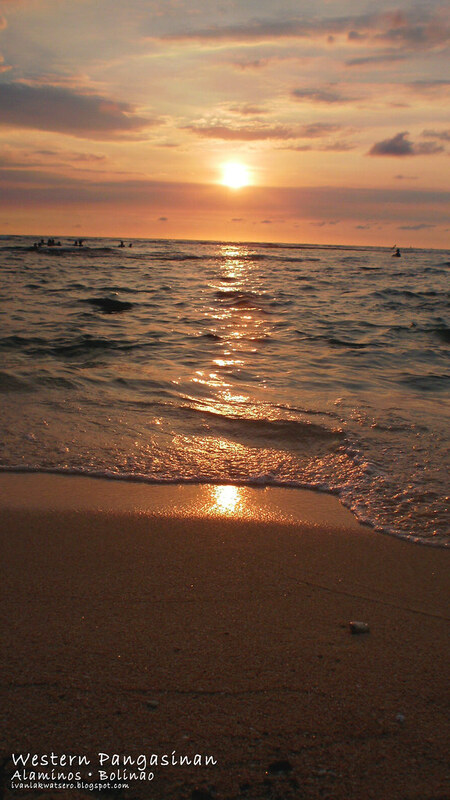 I reserved a JC room, a fan room fronting the beach good for 4-8 persons. Each room costs P3000-3500 but I was able to haggle it again at lower price, yipee (off peak season na kaya madaling mag-haggle). After we settled our things, quickly had our instant breakfast (instant noodles, coco crunch and instant oatmeal), we proceeded na with the Bolinao tour. Mr. John (pronounced as Yahn) himself was our pilot/tour guide. 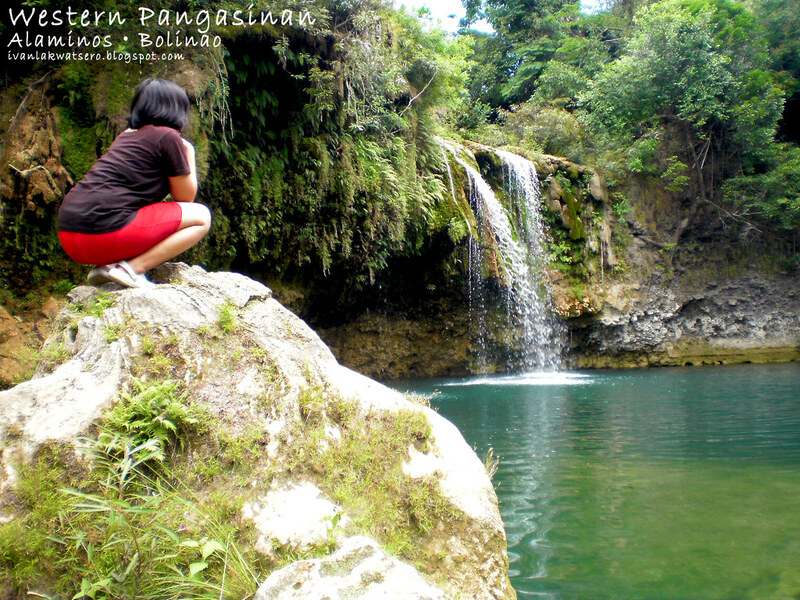 Our first stop was the Bolinao falls #1, thirty minutes drive from the resort. There were a lot of visitors when we arrived at around 11:30 am, some were doing picnic, some were jumping at the falls. 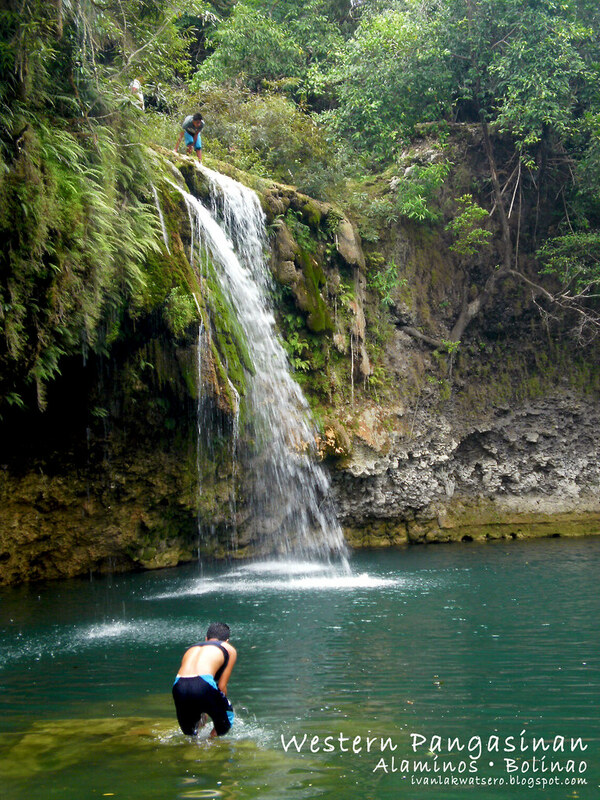 Bolinao falls #1 is great. 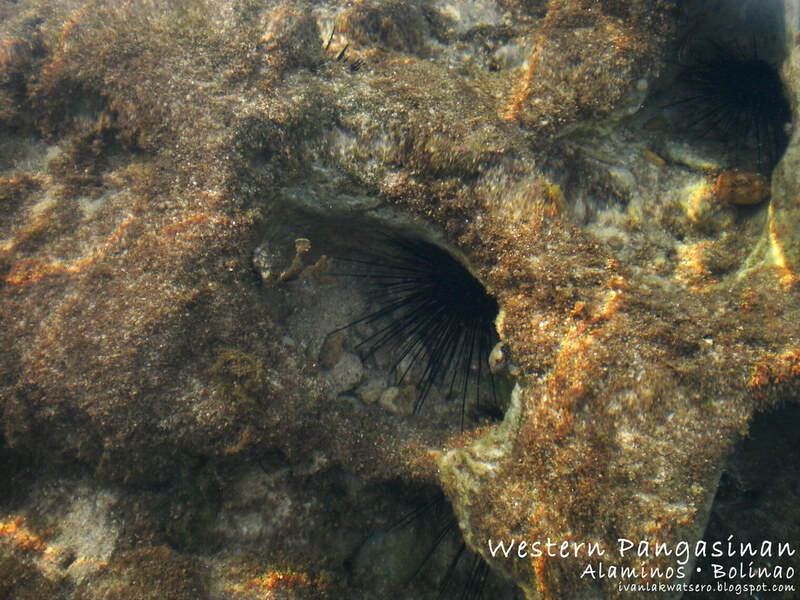 The waters are clear, clean and rocky, some parts are mossy and slippery. 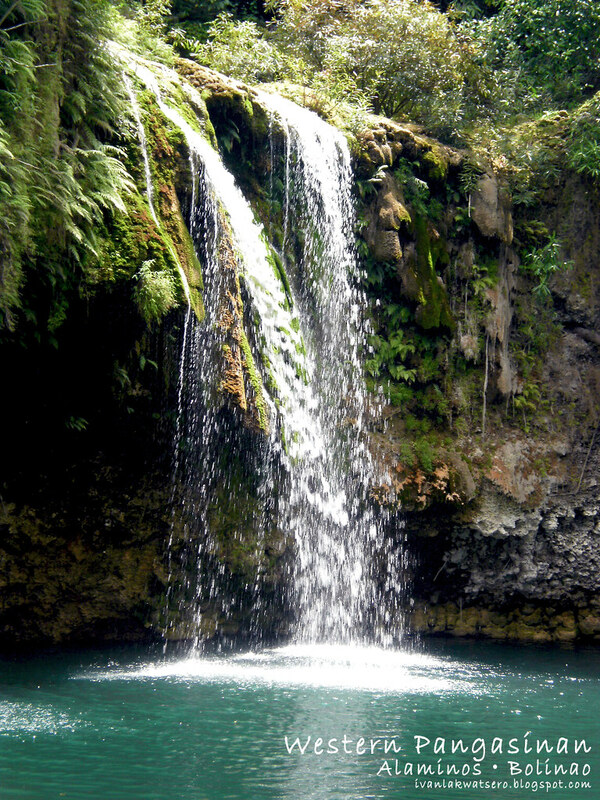 The falls is very tempting, I wanted to jump but I don't know how to swim at the 12 feet deep water. There's the natural ambiance in the place. 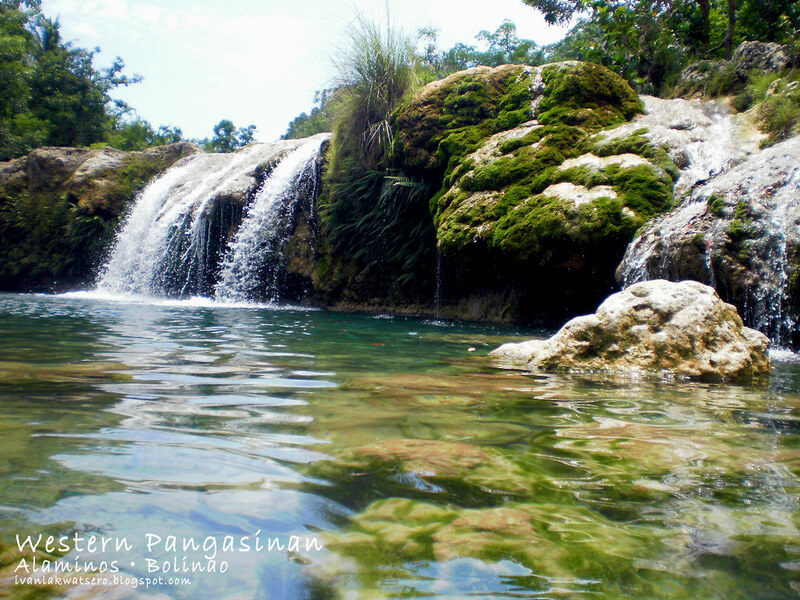 Bolinao falls #2 is a much greater falls. 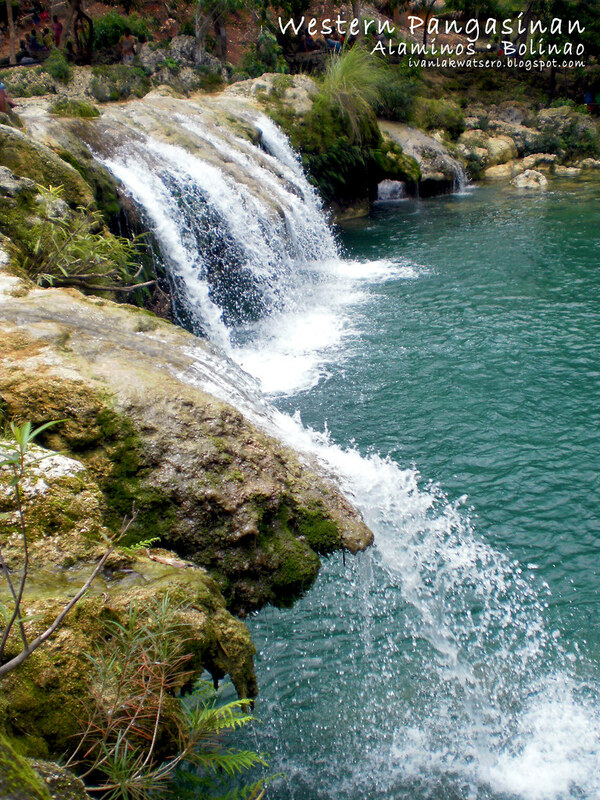 The cold natural green water is very pleasing, and its plunging sound is a music. We own the place for a couple of minutes until a group of three young men came and jumped at the falls. inggit ako, gusto ko din tumalon sa talon. 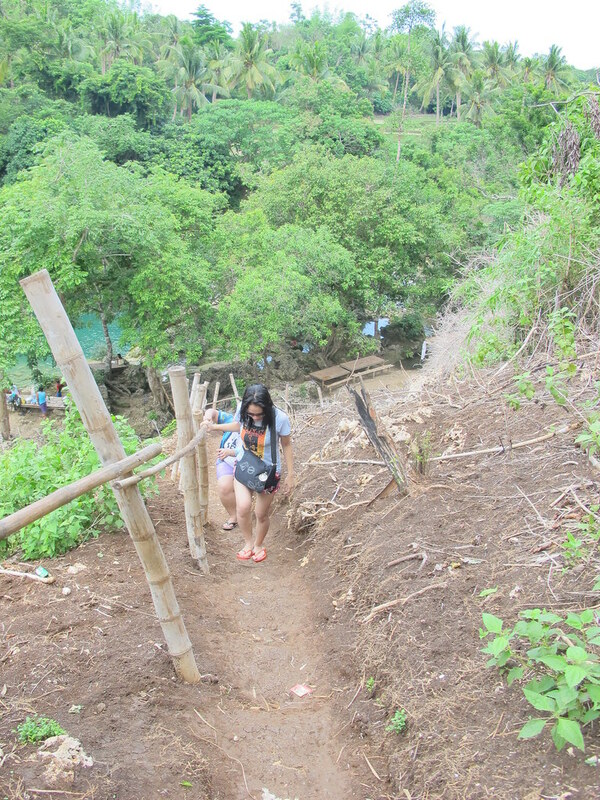 Still wet from dipping at the falls, we headed next to Bolinao market to buy goods for dinner and eat our lunch. Mr John parked the car somewhere near an Old Spanish Well, still functioning but not sure if it's still good for drinking. At the market, we had a quick 15 minutes shop. We bought rice, eggs, and hotdogs - frugality runs in our veins. We also bought our cheap lunch for take out, decided to consume it at Villa Carolina. On our way back to the resort, we passed by the bridge that's built across Luzon's cleanest river, the Balingasay River. Around 2:30 pm, we had our lunch at the resort, we also used their pool for 20 minutes. 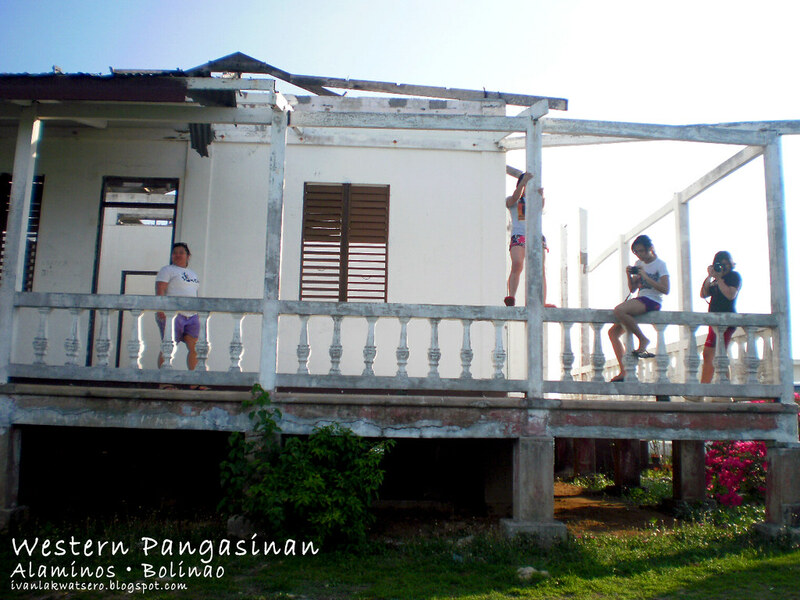 After that we continued the Bolinao tour. 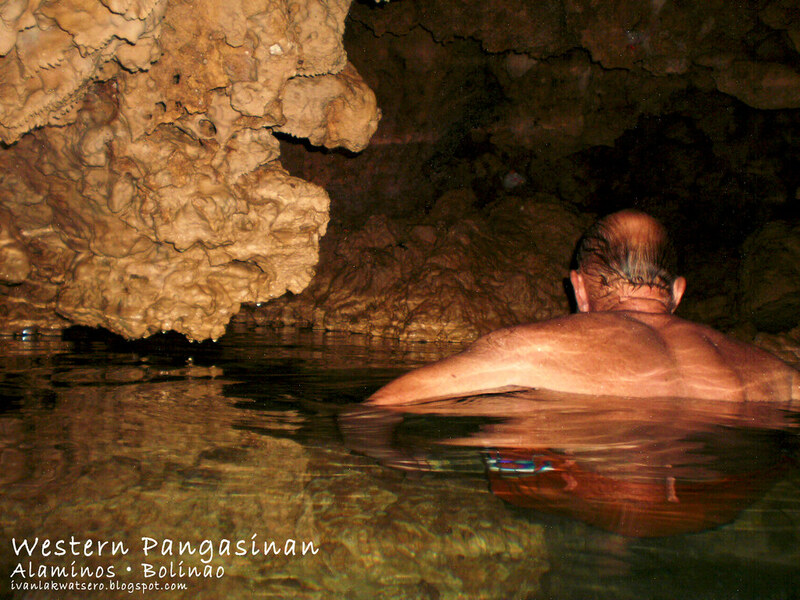 Bolinao has three caves to offer to cave-lover tourists. 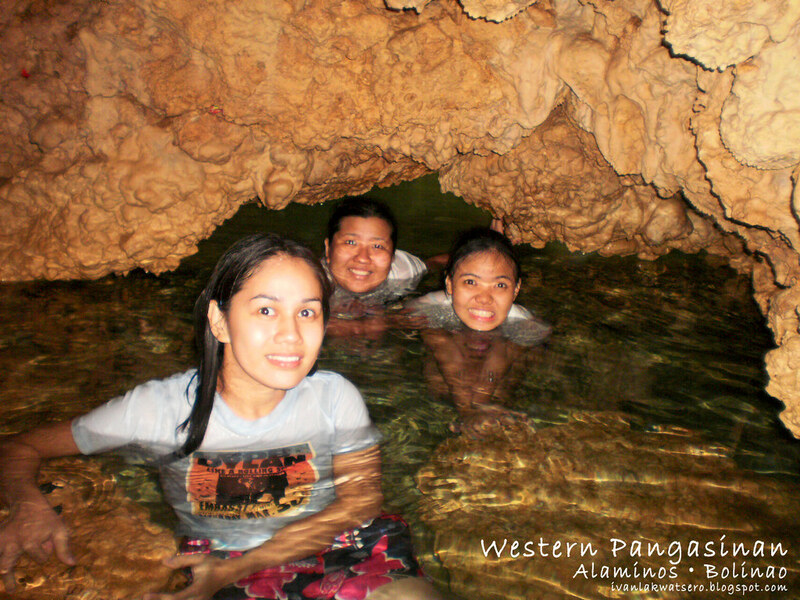 These are Enchanted Cave, Cindy's Cave and Wonderful Cave. Originally in our IT, Enchanted Cave was our next destination, but according to some friends and to Mr John himself, the owner of Enchanted Cave charges the guests with heavy rates. And the owners themselves are not that tourist-friendly. So Mr John brought us to another cave, not so far from Enchanted, but with friendly rates and owners. 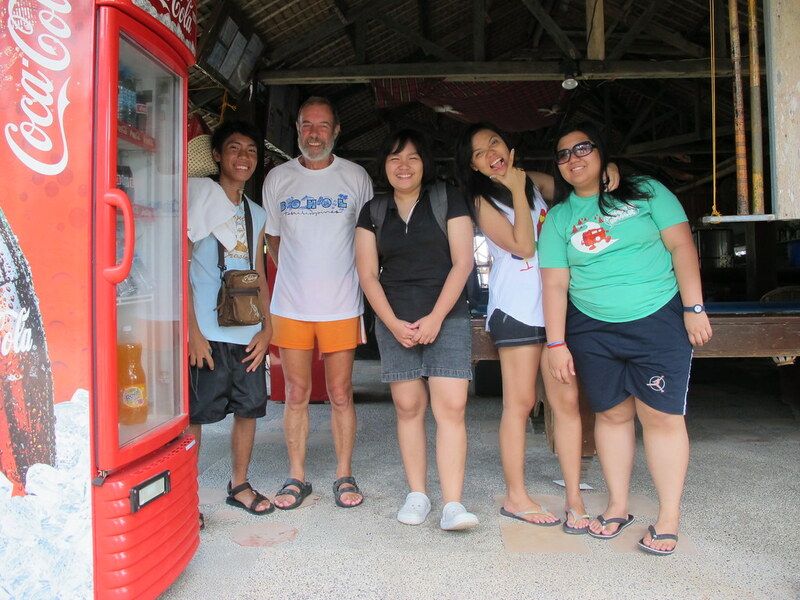 At the Wonderful Cave, we were welcomed warmly by the owner. She's very nice and friendly, we lover her. 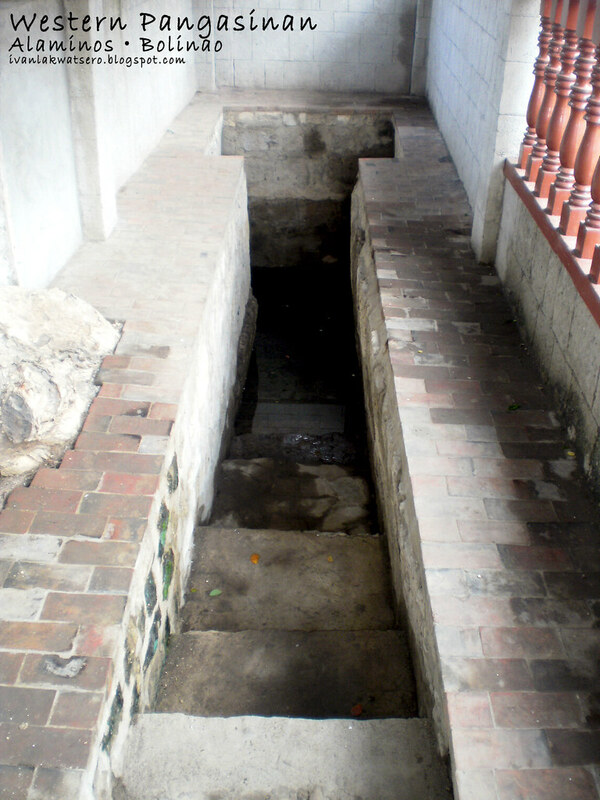 For only P40.00, we were able enter and dip at the uber cold and clear pool inside. So wonderful, the name is justified. We spent 30 minutes inside the cave. I rock climbed my way out of the cave, so I got my shirt really muddy. 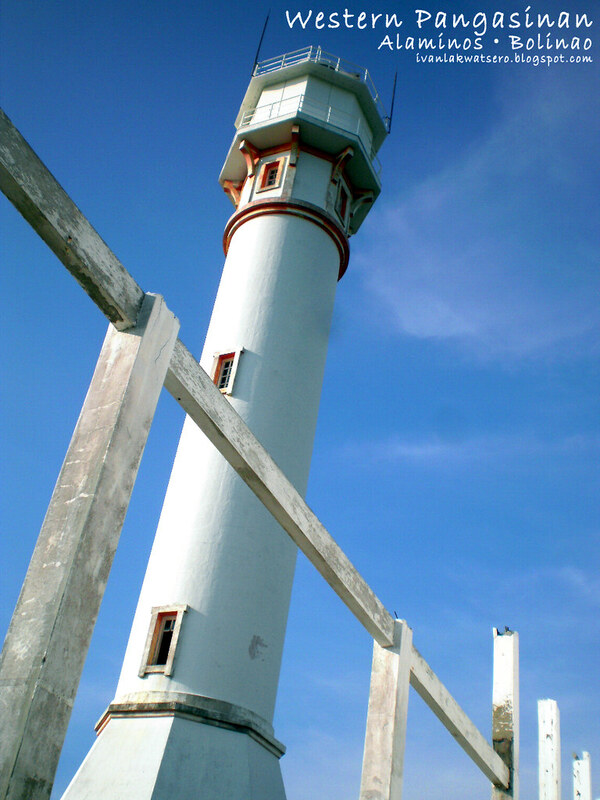 Just 20 minutes drive from the cave is the second tallest lighthouse in the country, next to Cape Bojeador of Ilocos Norte. 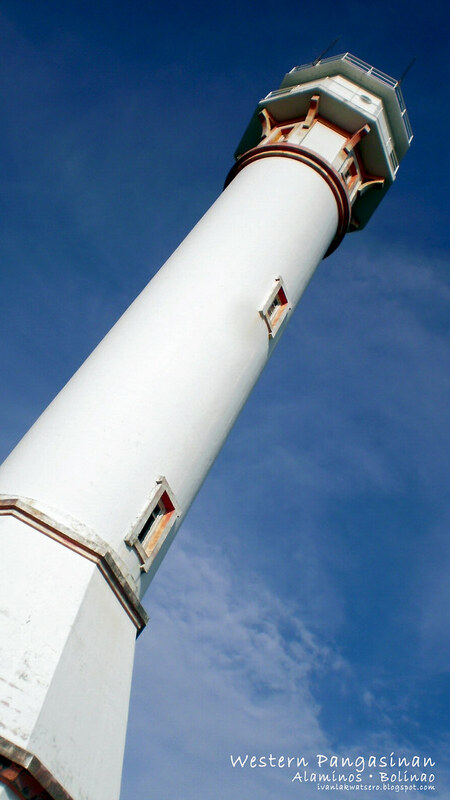 This light house is one of the famous landmark in Bolinao. Photography enthusiasts would surely fall in love with this giant structure. My girlfirends were enjoying jumpshots while I was doing my photography - introvert style. 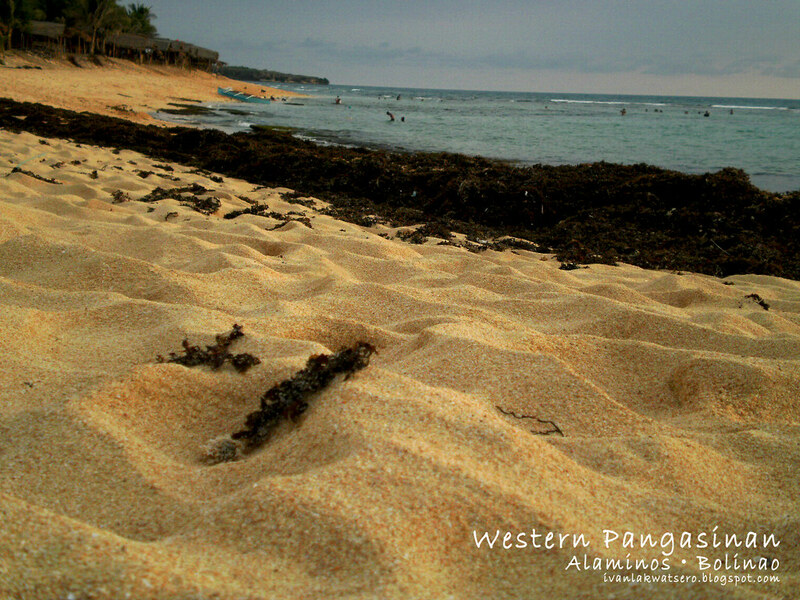 We finally reached Patar Beach, famous for its white sand and rock formations. But my batteries were already low. I left again my girlfriends at the beach while I walked an estimate of 1 kilometer distance to reach the rock formations. I crossed a bed of smelly kelp, rock climbed a huge reef, and walked over a rocky shore with small pool full of marine life (crabs, sea urchins, shrimps, brittle stars, small fish, hermit crab). 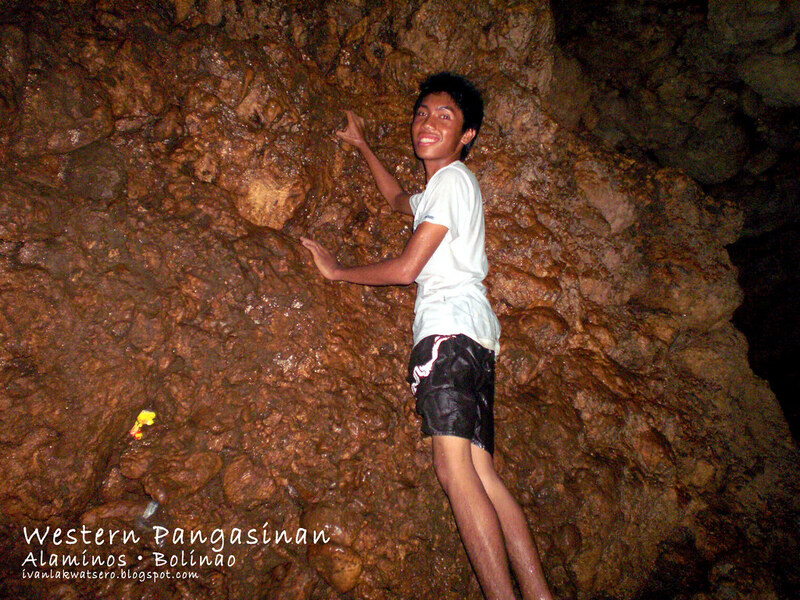 I returned to my friends as soon as I captured the rock formations. I still managed to capture some photos of the rock formations and the sunset before my batteries died. 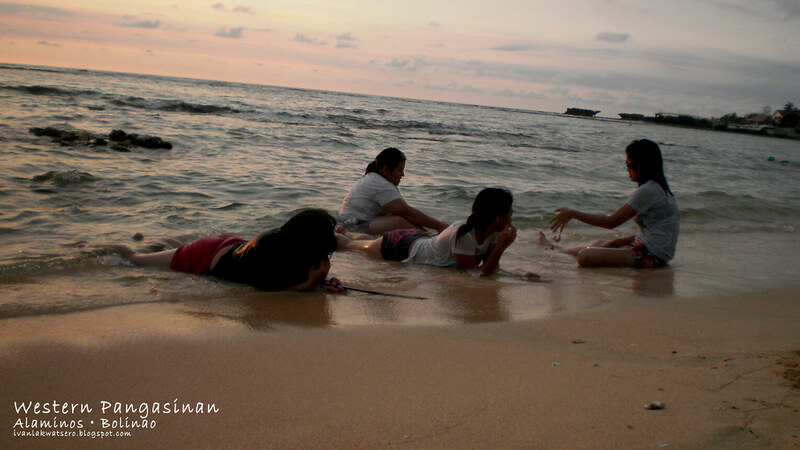 We did jumpshots at Patar beach as the sun was setting. We spent the night at Villa Carolina, consumed our dinner of a breakfast meal (composed of hotdogs and sunny side up), enjoyed the pool and the jacuzzi, and finally fallen into deep sleep at our JC room. As always, the nocturnal me woke up so early. It was still very dark outside, only 4 am. I went up the rooftop (yup JC rooms have a rooftop), brought my camera with me and munched my greaseless peanuts while waiting for the sunrise. On the rooftop, I fell asleep for almost an hour, I woke up again around 5 am, this time the sky was getting brighter. I then decided to do a morning beach photowalk, now joined by my friend Marian. 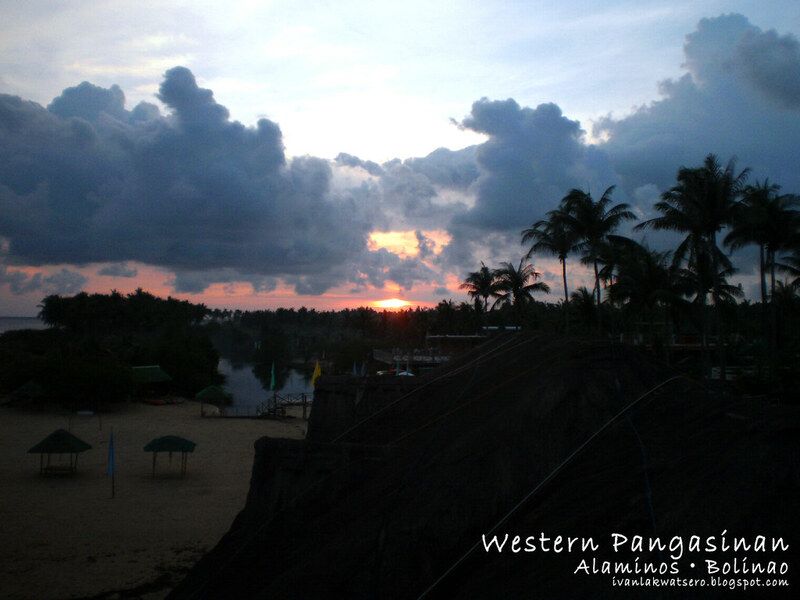 By 6:30 am, we started to packed our things and prepared ourselves for a much greater adventure in Hundred Islands National Park in Alaminos City. 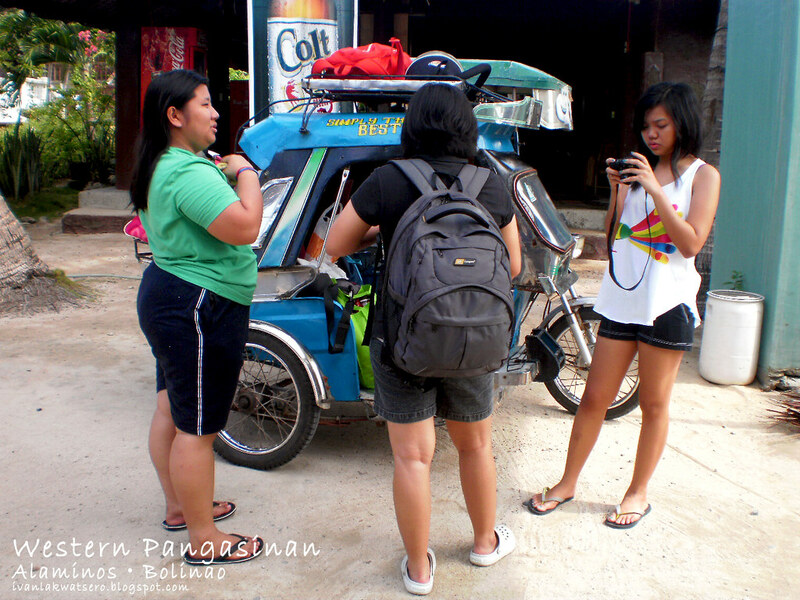 We checked out by 9:30 am and rode a trike to bayan of Bolinao. 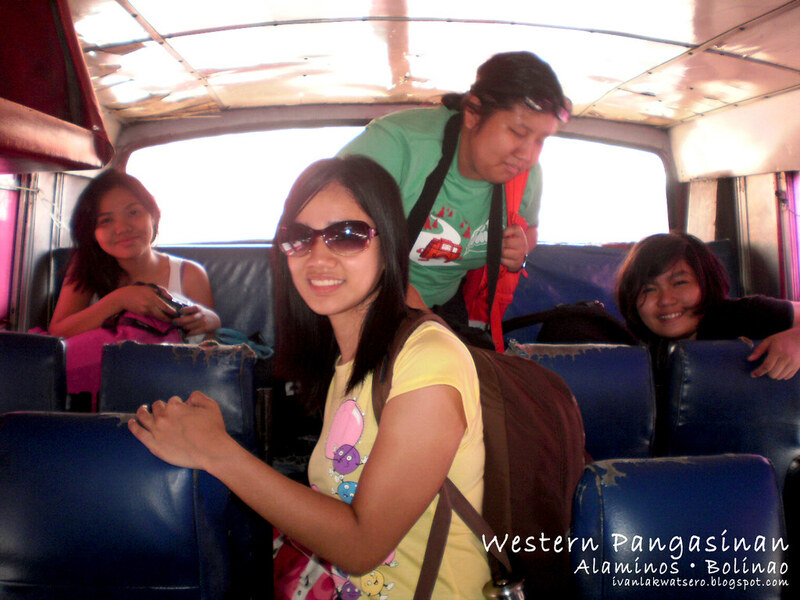 We were able to catch the 10 am trip (ordinary bus) to Alaminos City. The fare was only P40.00 from Bolinao to Alaminos City. 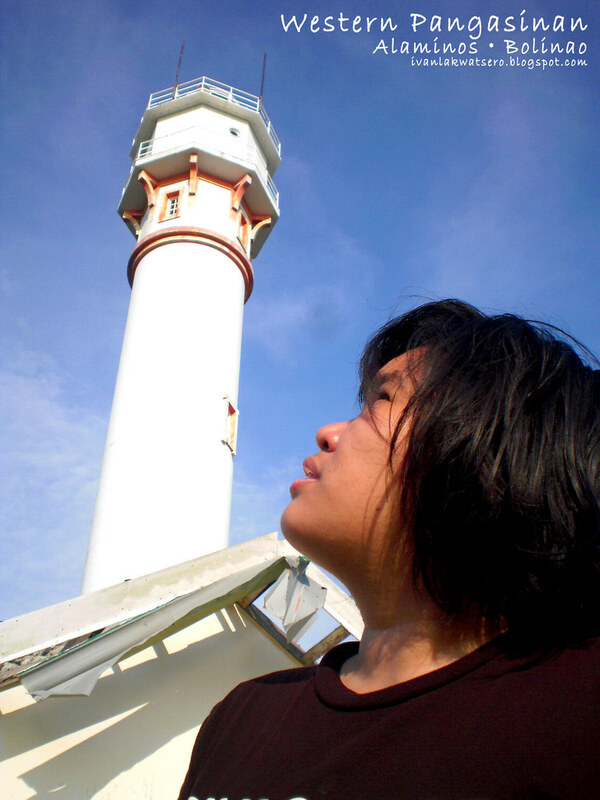 Read my Hundred Islands experience here. It never cease to amaze me whenever I visit a church I never been to.. 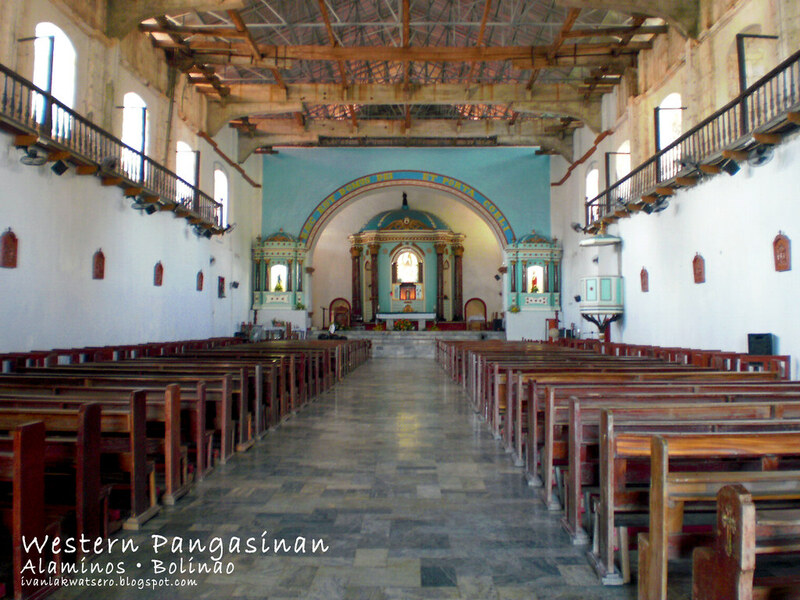 I can still remember when we went to Bolinao and visit also the church we came along. 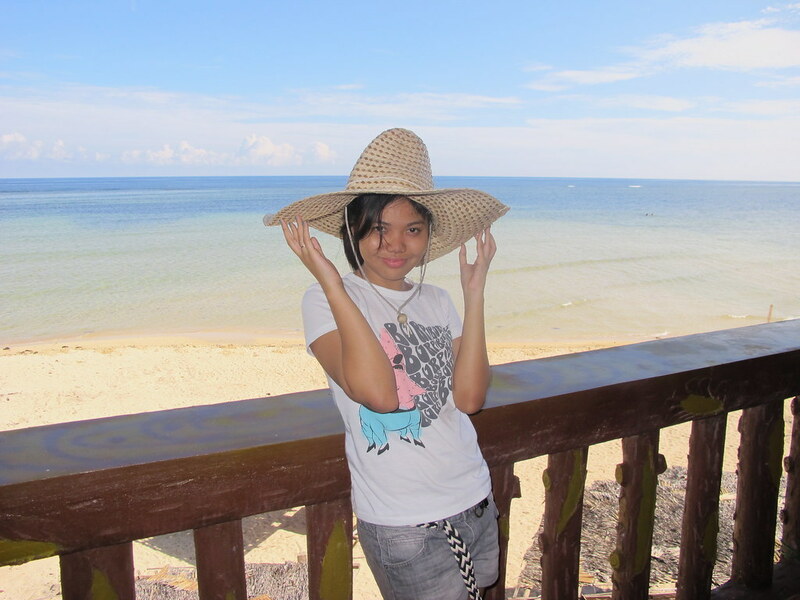 i really miss bolinao :) must visit there again! Hey dude, I need some info if you could help me. I am bringing a huge group with me and I want to get the most practical deal possible. Can you send me an SMS at 0917-5113653 then I'll call you for info? Would really appreciate it. "photo from Roan. Batang Lakwatsero in action" - parang bettymae in action lang! "photo from Roan. 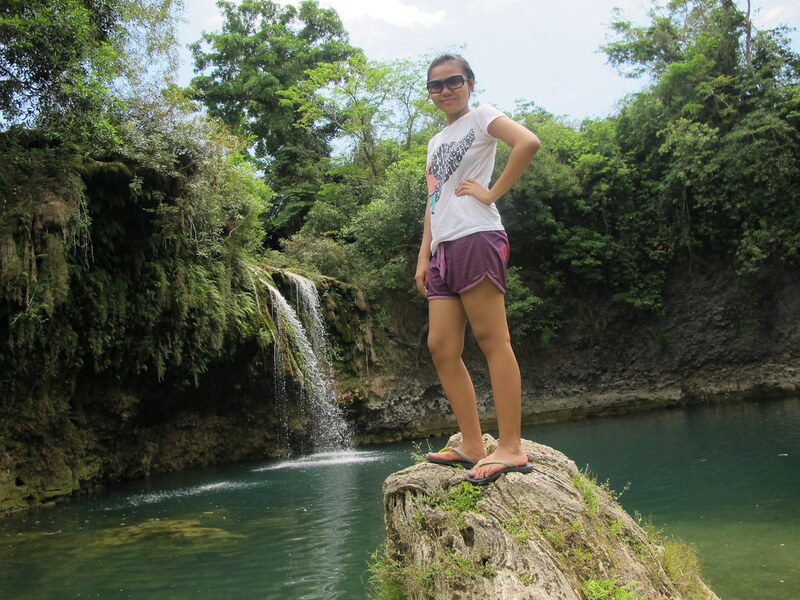 herself at the falls" -gusto ko to. PS. sabi ko babasahin ko kapag tapos na but i couldnt help it. @Anonymous, email me.. that is better. @wih, haha.. halos tapos na din nmn.. yung pasalubong nalng nmn yung kulang e..
hi, ask ko lng yung church ba malapit lng sa bus terminal? 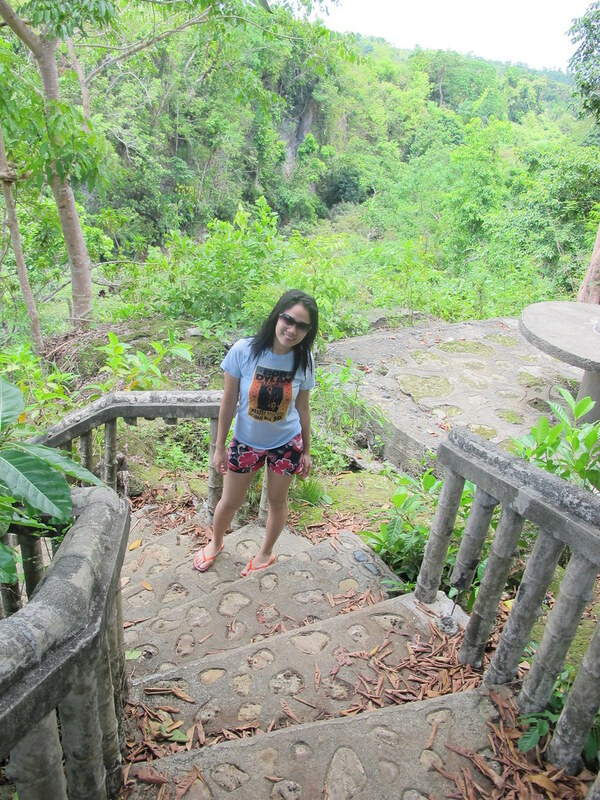 halos magkakalapit lng ba ang falls, cave at lighthouse? may plan kasi kami mag half day tour dahil by 2pm nid n namin bumalik ng manila. 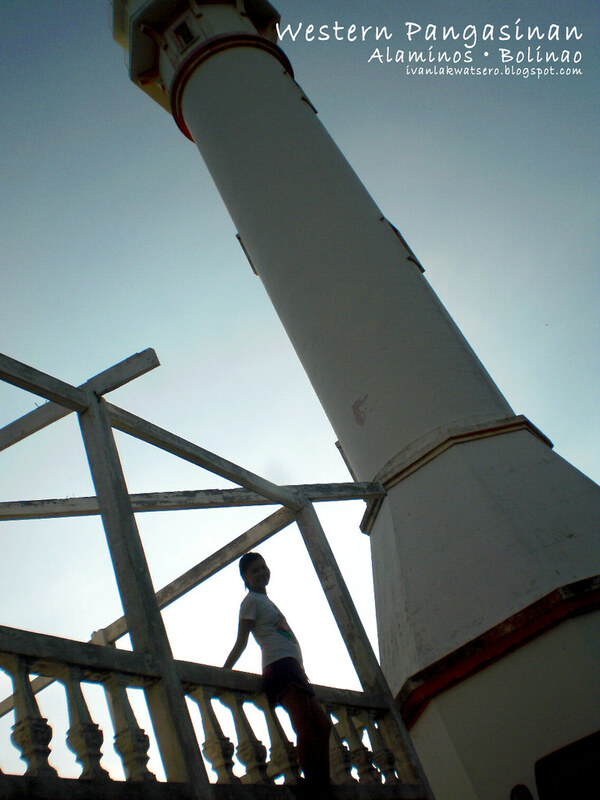 tnx..
@Anonymous, I don't think na kaya nyo sya ikutin ng half day, unless may sarili kayong sasakyan at picture lang sa place ang habol nyo..
yung Church lang ang malapit sa terminal, yung mga falls malayo.. lalo na yung lighthouse. bakit mo kinuha yung 1700 na day tour nila instead of the 1500 van day tour nung trike driver? haha. because we feel much safer with Villa Carolina. amy contact number ka pa ba nung van na inalok nung trike driver? I'm just wondering whether it's cheaper to rent a van in Manila to take to Bolinao, rather than take commuter bus. Having a rented van will take care of all your local tours without paying extra. However, we did spend about P3500 on gas and another P800 approximately on toll fees. 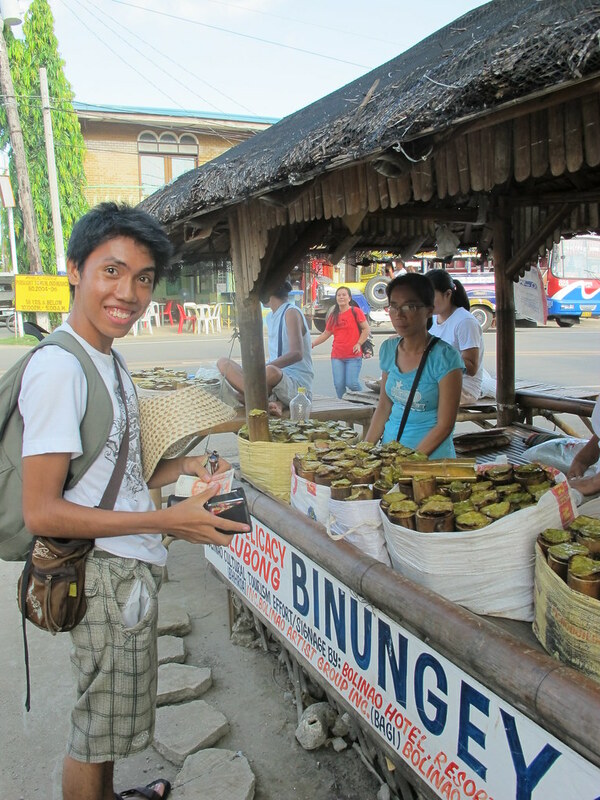 But then we were able to buy a lot of stuff that we bought in Pangasinan. Hi, question ko lang... madali lang ba makakita ng kakainan sa resort na to? mei malapit ba na pwedeng pagbilhan ng food, chips, beer etc? meron bang kainan mismo sa loob ng resort? 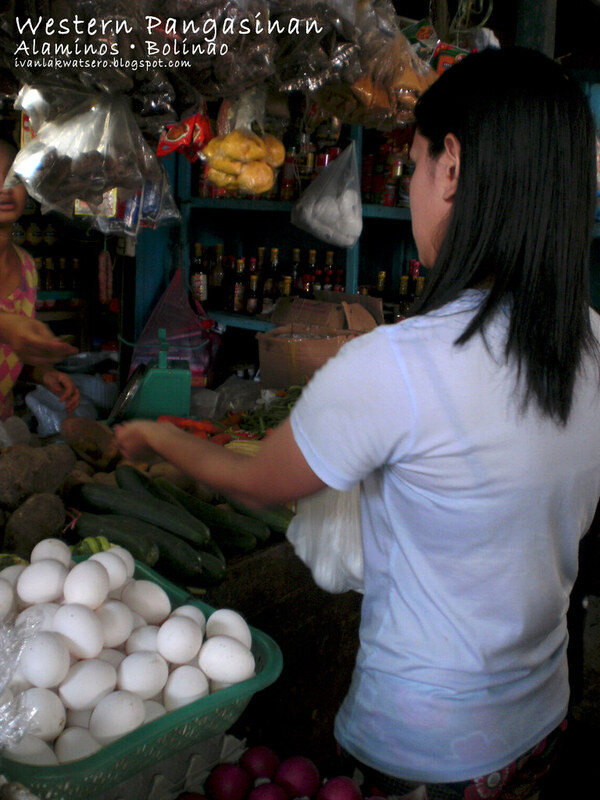 hello, I suggest that you buy first all the food and drinks you need at the market before heading to the resort. nasa Bayan yung market, about 15 minutes tricycle to the resort. they have tables inside.. pwede din kayo magpaluto if you like. Good advice, BL! Bolinao has many carinderia and stores where you can buy all your food and libation requirements (including alcoholic ones). 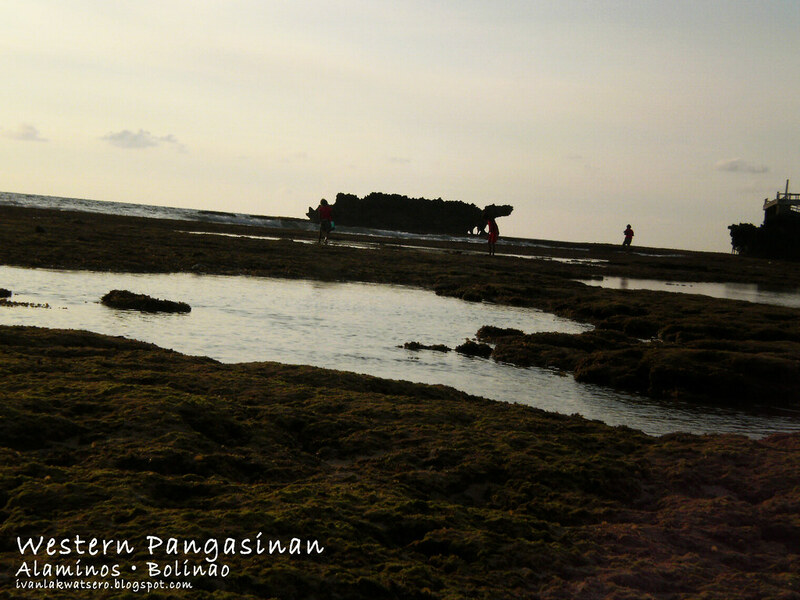 BL, you didn't mention about the tiangge days in Bolinao. 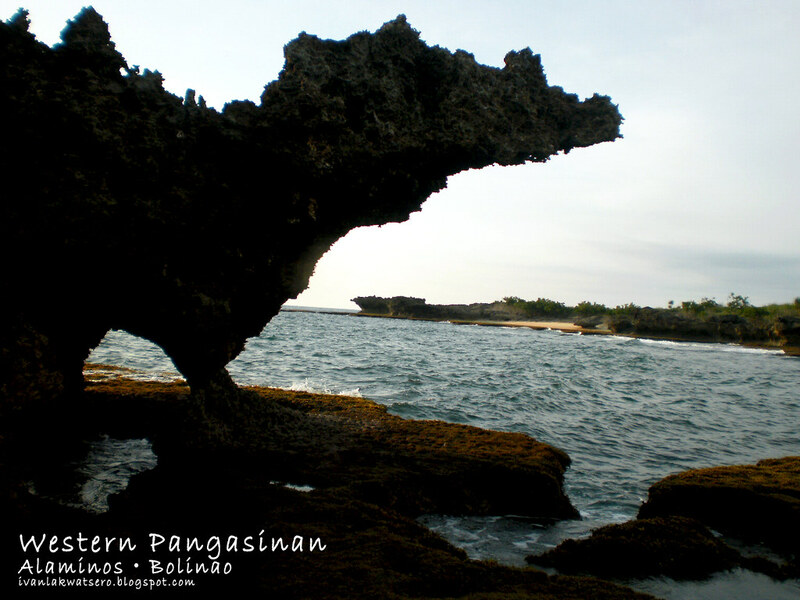 I would definitely suggest to everyone wanting to go to Bolinao to go there on tiangge days (which are every Saturday and Tuesday mornings till early afternoon). Their veggies are cheap, and they have all sorts of very fresh and dried seafoods. YUMMY yung dried dangit nila -- buy the big ones not the itty bitty ones. Also look for patupat at the market. They have a very active and packed market on tiangge days. Many veggies are sold for ONLY ten pesos per pile (like a pile of tomatoes, a pile of cucumber, a pile of raddish, etc...DIRT FRIGGIN CHEAP...that's how they are priced also in Baguio as we saw about a week or so ago). Get your bagoong here too if you like padas or balayan or whatever they have there (there are several varieties to choose from). 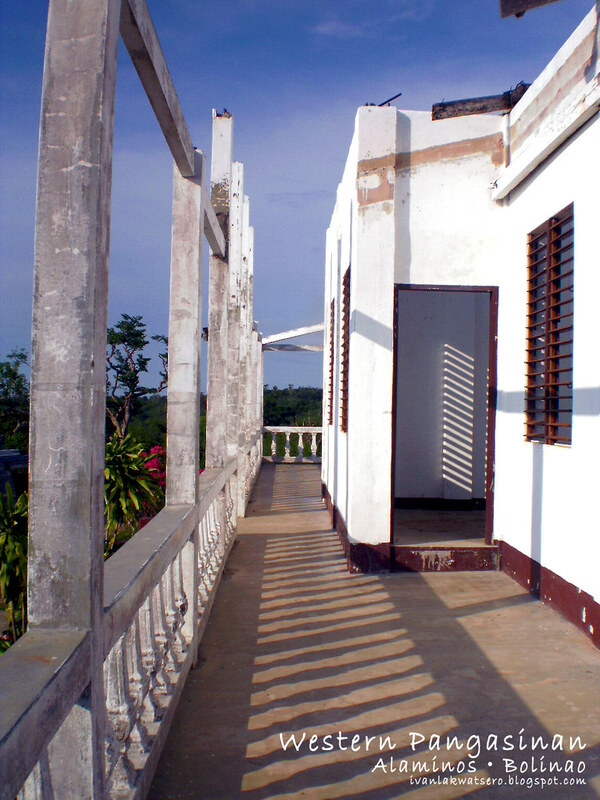 While in Bolinao, you can also check out Puerto del Sol, the resort, which you will hit first before reaching Patar Beach. Puerto del Sol is very beautiful. You can just go in and have lunch there (in case they ask) or get a beer drink. Lots of photos you can snap there. 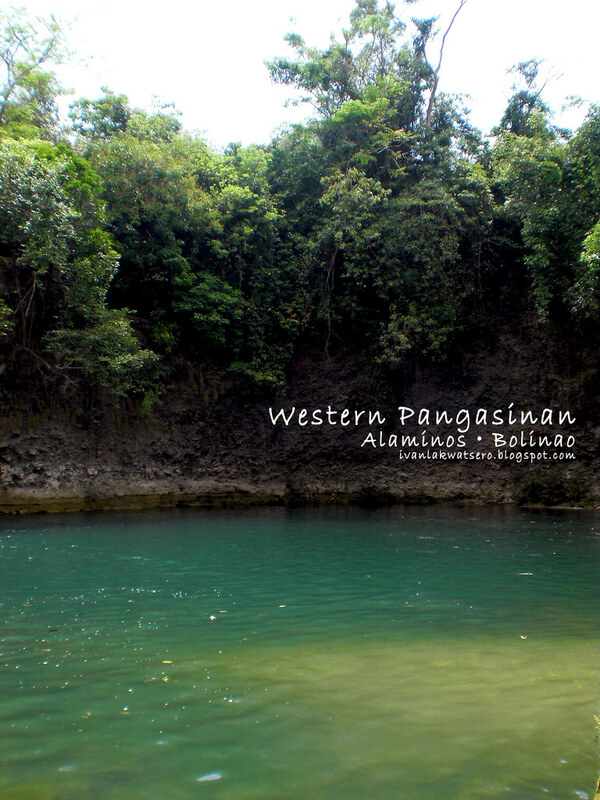 Also, not too far from Bolinao is Anda. 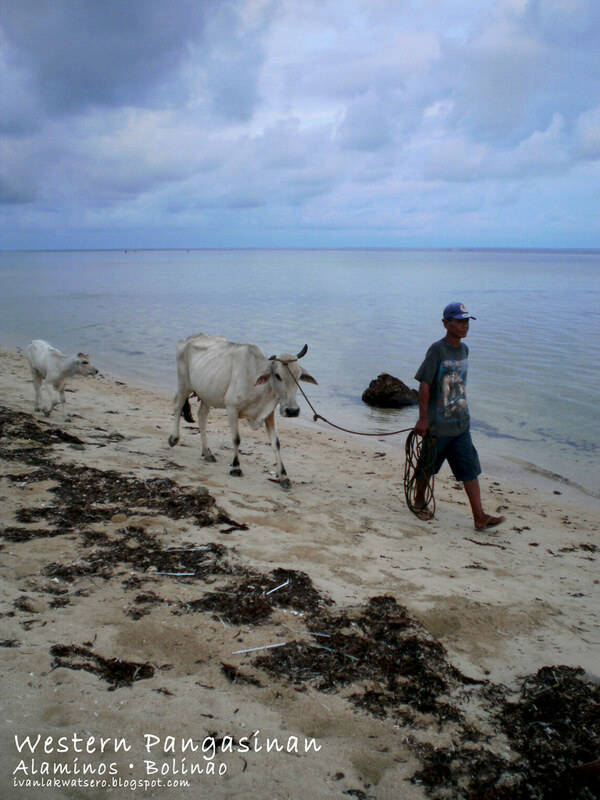 They have a beach there too. 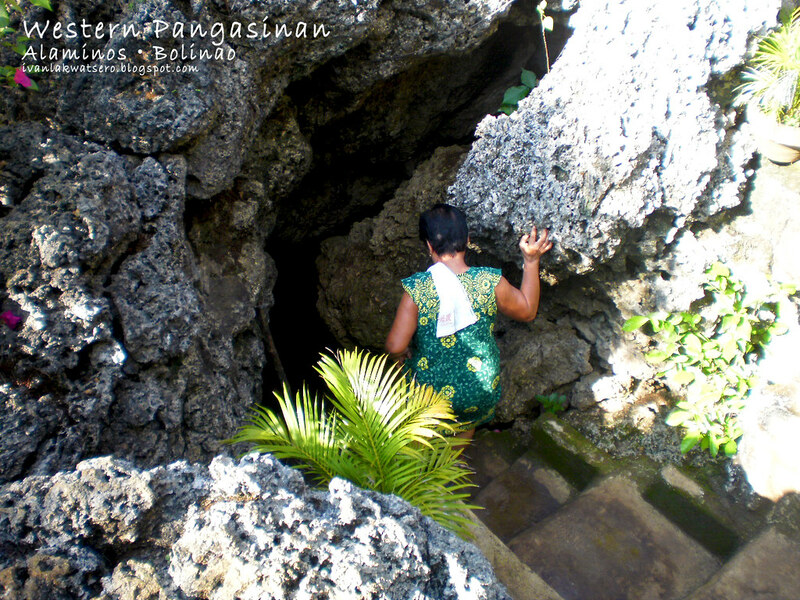 Great photo blog about Bolinao, Batang Lakwatsero! 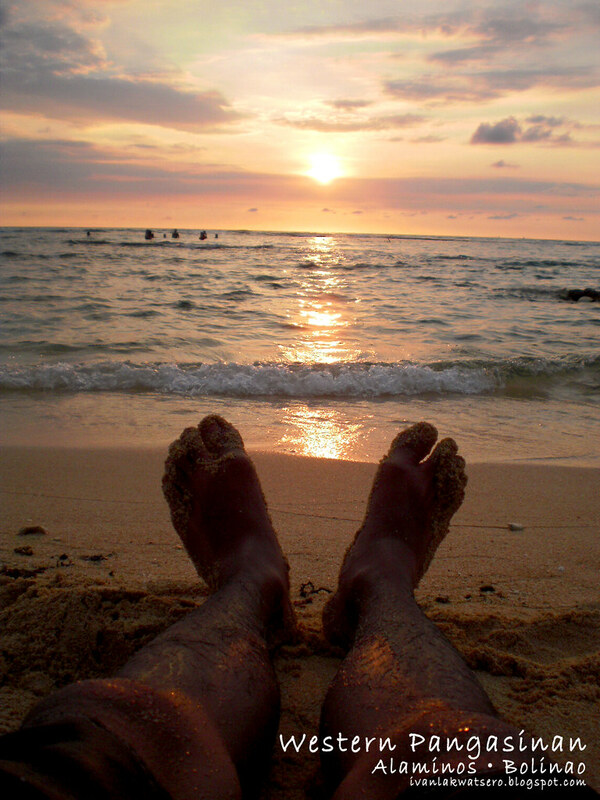 I'm a repeat tourist to Bolinao. My mom is from there. 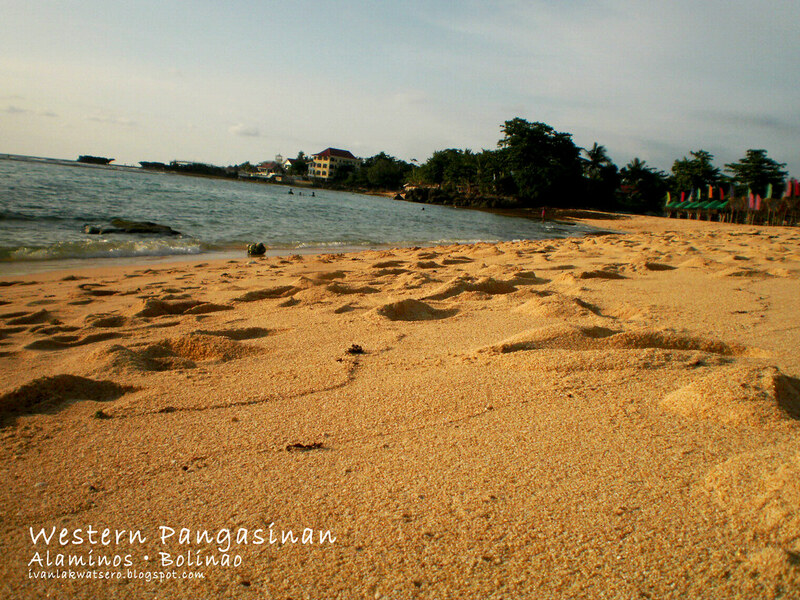 Can't wait to see Bolinao and their famous Patar Beach this summer with my family!! Kakaexcite while checking your photos.